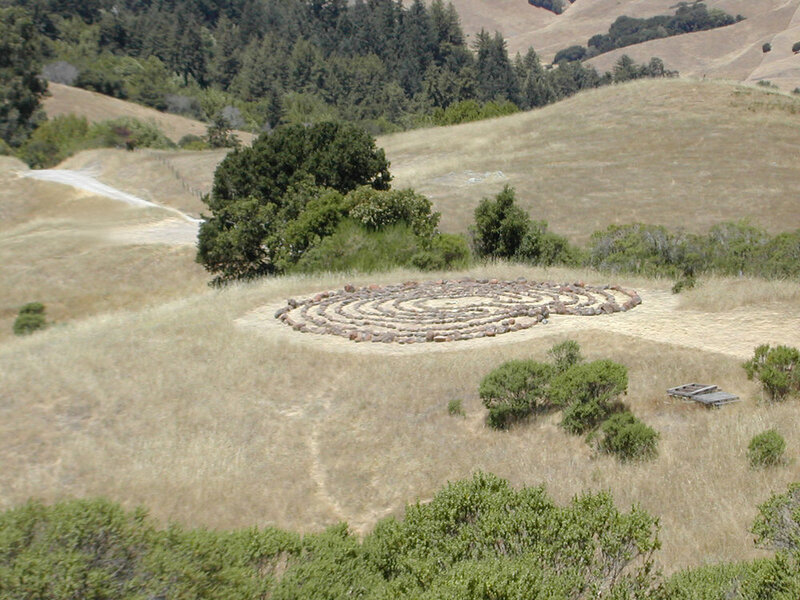 Winding through the back-roads of Marin County, CA the unfamiliar terrain all of a sudden became familiar and I found the turnoff that led us to one of my early labyrinth installations of almost two decades ago. It has been many years since I stood in this spot. 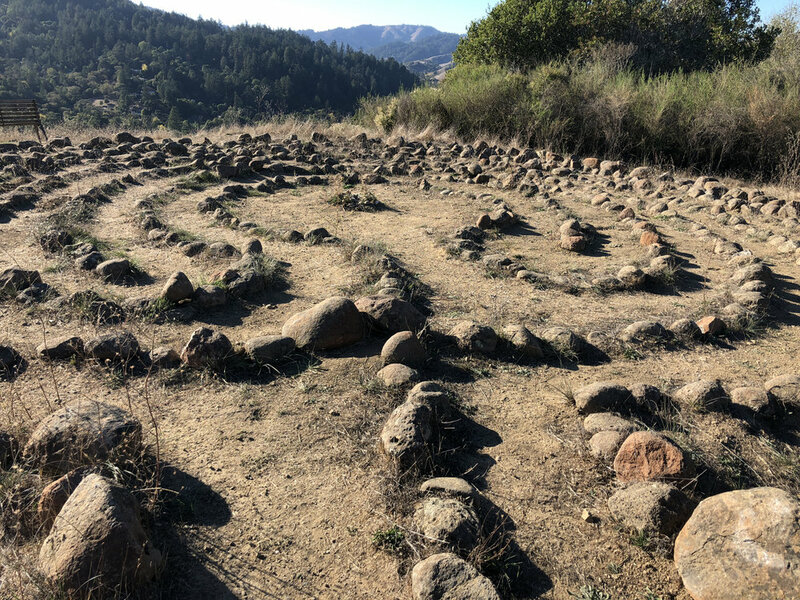 To see that this labyrinth is still on the land, settled now and part of the hardscape with hundreds of footsteps before me, I was in complete awe. The stones are now nestled into the earth… the path is worn and terraced in places that were once part of a smooth knoll. There is a deepness to this place that settles into the bones and cells of your being. The quiet and expansiveness of nature here in the twists and turns and surrounding area is a wellspring of vibrant life. Many lizards watched me wind my way to the center and back out again. When we were leaving we met with a couple who live in the hillside community. They have been coming and walking this labyrinth for years and have attended ceremonies there as well. They let us know that it is still well used by all of the surrounding neighbors. Photo from 2001 soon after completion. This Classical design has an expanded center to hold multiple people. It is approximately forty-five feet in diameter with an eight-foot center. 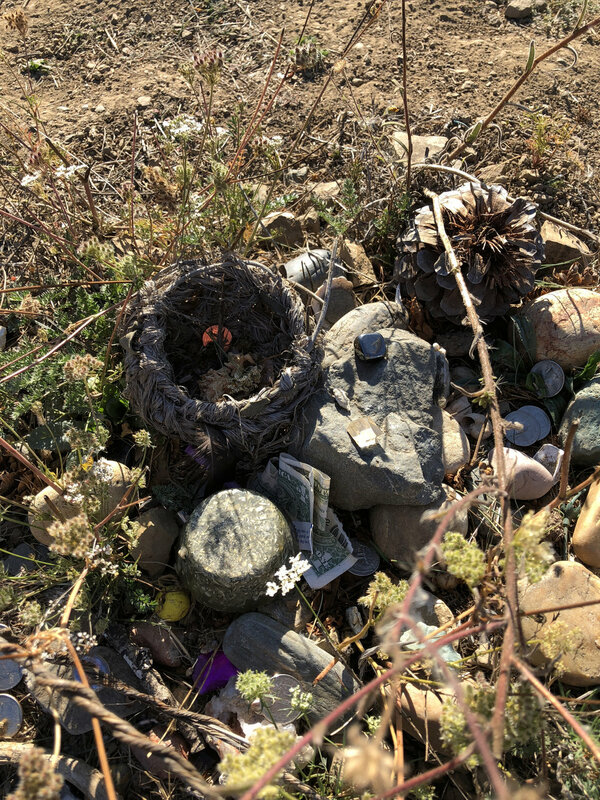 I was assisted in this private installation by the Spirit House property owner, my women’s group- The Madrinas and classmates from my graduate class at The Institute of Imaginal Studies/Meridian University.